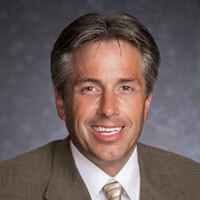 Joel Hall has served as LeChase quality director since 2007. In his role, he oversees the company’s quality standards – establishing processes, developing training and performing site inspections to ensure project teams to meet or exceed those standards. Joel started his construction career working for a local architect in 1996. Since joining LeChase as an associate architect/project manager in 2001, he has gained substantial experience in design-build and construction management. Joel graduated from the Rochester Institute of Technology with a B.F.A. in industrial design. He holds several industry accreditations including CM – Lean (Certificate of Management – Lean Construction) from the Associated General Contractors of America (AGC) and LEED AP® (Leadership in Energy & Environmental Design) from the U.S. Green Building Council.